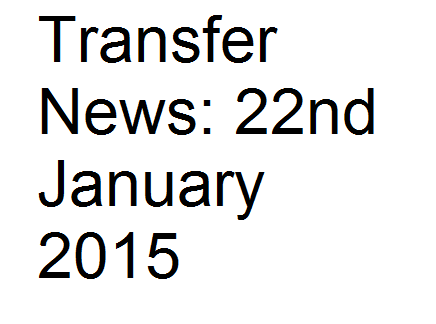 22nd January transfer news include three done deals from Premier League and La Liga, also Liverpool midfielder Lucas set to leave, Arsenal target joins Real Madrid. Liverpool are set to put a price tag of €10million for their Brazilian midfielder Lucas Leiva who is being strongly targeted by Serie A side Inter Milan. Martin Odegaard has finally signed for Real Madrid after training with several top sides in the past few weeks. Real officially confirmed the teenager’s move earlier today. Swansea City confirmed earlier today the signing of full-back Kyle Naughton from Tottenham on a three-year deal. Will Keane has joined Sheffield United on a loan deal from Manchester United. The 22-year-old will spend the rest of the season at Sheffield. Turkish outfits Trabzonspor are set to sell their star winger Abdul Majeed Waris as Premier League side Manchester United are keen to get him, as per Daily Express. The Turkish side have also confirmed that the contacts have already been made for the 23-year-old. QPR boss Harry Redknapp is keen to sign Southampton forward Dani Osvaldo, according to Liverpool Echo. The Italian is currently on loan at Inter Milan.